This Avocado Chocolate Bar Is Green, so That Means It's Healthy, Right? When we say avocado, what do you think of first? Perhaps a delicious meal of avocado toast or a nourishing hair mask made up of the green superfood. Even beauty brands have started to make use of the fruit, offering products infused with avocado oils for moisturizing benefits. We can't seem to escape it—not that we're complaining about it. But there seems to be one category where we haven't seen an invasion of avocado: dessert. Traditionally, we think of avocado as a savory, protein-packed ingredient, usually integral to our appetizers or entrées. That, however, is all about to change. 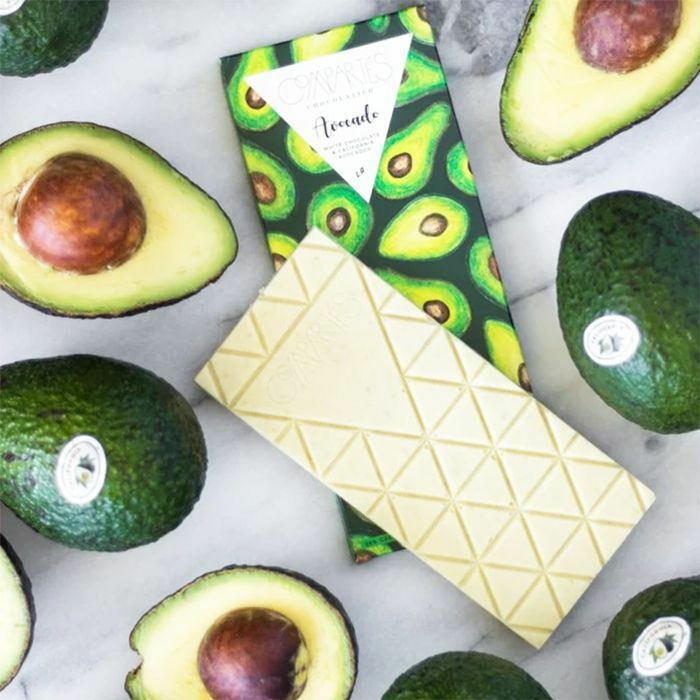 The L.A.-based chocolate company, Compartes, has released a new chocolate bar packed full of, yes, avocados. Given how nutritious our favorite superfood is, this news is pretty exciting. Nutritionists recently told us that avocados are one of the healthiest foods out there thanks to high levels of oleic acid (which is heart-healthy and aids in reducing inflammation) and a variety of vitamins like K, C, B5, and B6—just to name a few. To think that we can reap the benefits while satisfying our sweet tooth sounds like a dream come true. The bar is made of creamy white chocolate and local avocados from California. You can buy it online from Compartes, or visit their brick-and-mortar location in L.A. if you're in the area. Compartes says, "There's absolutely nothing else quite like it." We have to say that we agree. On that note, here's another great use for any extra avocados you have lying around: a DIY hair mask.